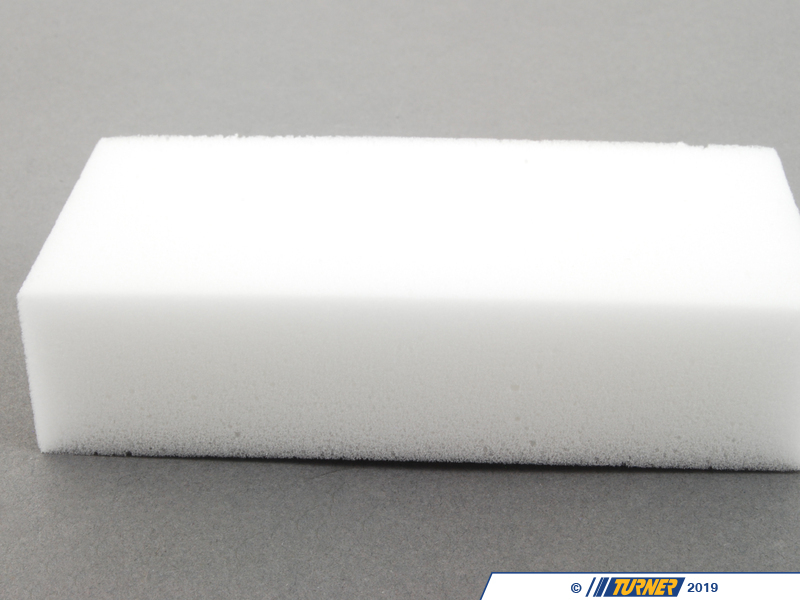 Fine-pored special sponge for removing stubborn dirt deposits from plastic components in car interiors (e.g. scuff marks, shoe polish etc.). 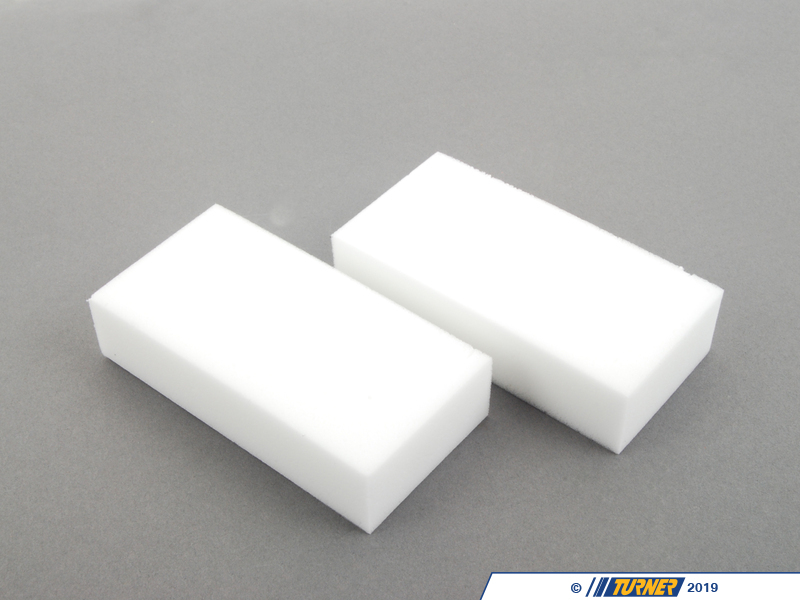 Eradicates wax and polish deposits from unpainted exterior plastic components (bumpers,styling strips etc.) and rubber. 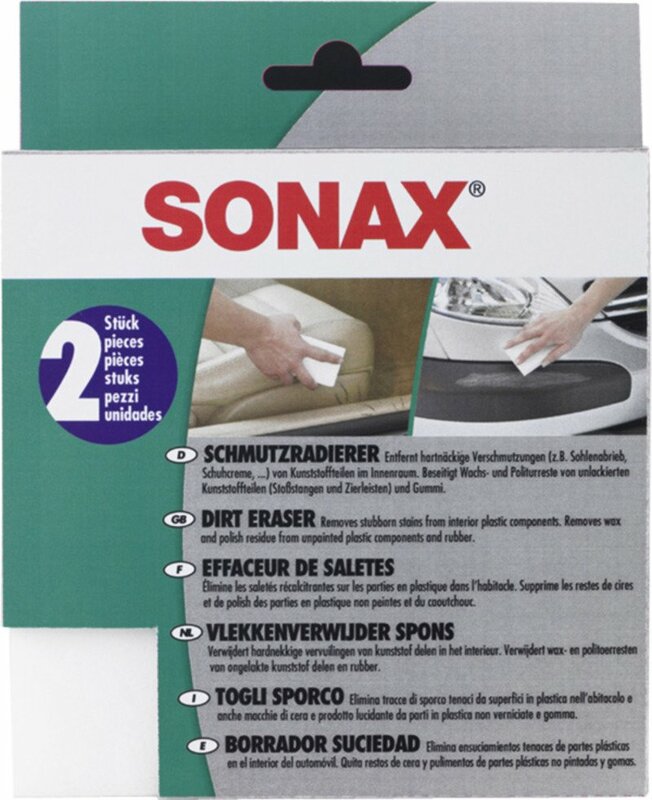 Includes 2 Dirt Erasers.SONAX car care products that have been the most popular and highest rated products in Europe for years are now available in the US! When it comes to high-tech car care products, SONAX is the leader. SONAX has over 60 years of experience, the highest quality standards and the through the years official supplier to many of the leading Formula One teams including Mclaren, Williams F1 and Red Bull Racing.SONAX is the approved partner in car care for leading Car Brands, such as: BMW. Audi, Mercedes, and Chevrolet to name but a few. SONAX is the only company which is fully endorsed for exclusive use on all Mercedes Benz and Audi cars. 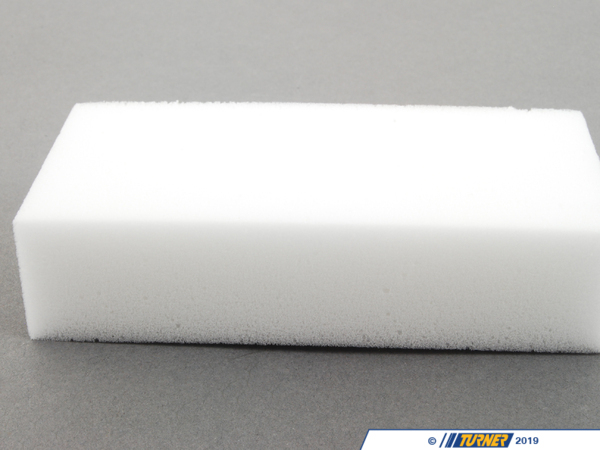 Fine-pored special sponge for removing stubborn dirt deposits from plastic components in car interiors (e.g. scuff marks, shoe polish etc.). 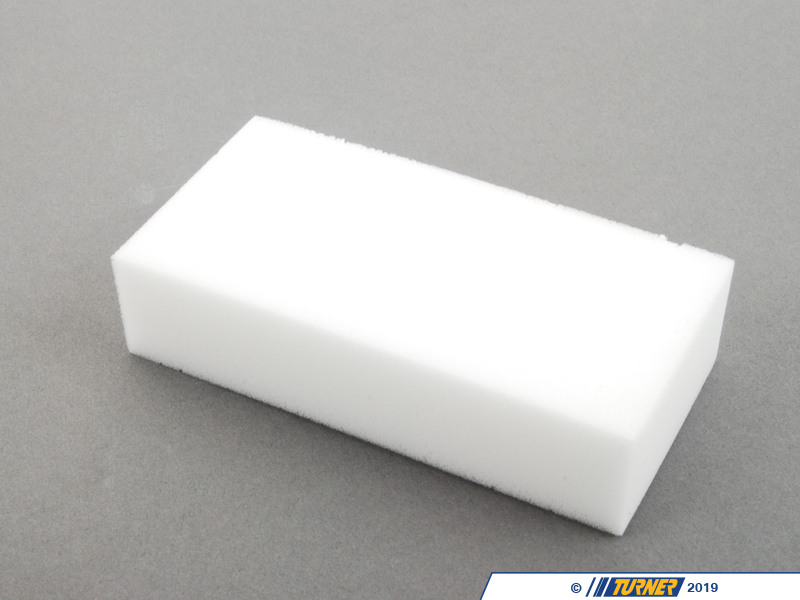 Eradicates wax and polish deposits from unpainted exterior plastic components (bumpers,styling strips etc.) and rubber. Includes 2 Dirt Erasers. SONAX car care products that have been the most popular and highest rated products in Europe for years are now available in the US! When it comes to high-tech car care products, SONAX is the leader. SONAX has over 60 years of experience, the highest quality standards and the through the years official supplier to many of the leading Formula One teams including Mclaren, Williams F1 and Red Bull Racing.SONAX is the approved partner in car care for leading Car Brands, such as: BMW. Audi, Mercedes, and Chevrolet to name but a few. SONAX is the only company which is fully endorsed for exclusive use on all Mercedes Benz and Audi cars.